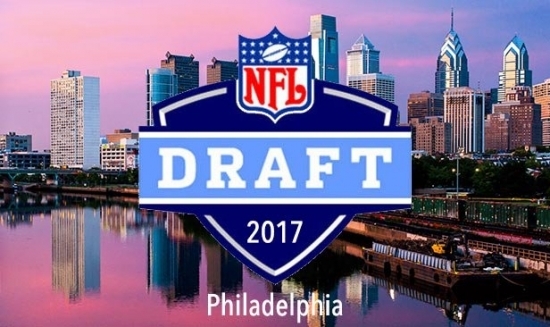 iradiophilly | News - NFL Draft in Philadelphia 2017; Woman Hit By Trash Truck on Beach; Soggy Labor Day in Philly? The National Football League, the City of Philadelphia, the Philadelphia Convention and Visitors Bureau and the Philadelphia Eagles announced that they will be holding a press conference at City Hall on Thursday at Noon. They are expected to announce that Philadelphia will host the 2017 NFL Draft next April. Chicago has hosted the draft the past two years. New York was the host from 1965-2014. The NFL Draft has become an event centered on more than just the selection of players. Draft Town is a free multiday festival that engages fans in an array of activities outside of the draft itself. There are also other events, concerts, parties, etc that come along through out the week. A woman reading a book on the beach at the Jersey Shore was hit by a trash track this morning in Ocean County. 38-year-old Megan Fabieniak of Toronto, Canada, was lying on the sand at the 3rd Avenue Beach in Ship Bottom, Long Beach Island, when she was struck by the Ford pick up truck at around 8 a.m. The truck then stopped on top of her. She was removed from under the truck by emergency responers and taken to Atlantic City Medical Center. She is listed in stable condition with minor injuries to her leg and arm. The driver, 42-year-old Brian Archer, was making morning trash pickups in the Ship Bottom Public Works truck. He has agreed to give blood samples and a taped statement to police. Tropical Storm Hermine has just formed in the Gulf of Mexico according to the National Hurricane Center. The center is predicting that the storm will start to move to the northeast, cross over Florida, and then head up the East Coast. It could weaken back to a tropical depression but it could still bring heavy rain to the area during the Labor Day Weekend. Down the shore, you'd have to watch out for rip currents and coastal flooding. It is still too early to tell, but it could be a damper to the second half of the holiday.